Incredible cake decorating is no longer only left to the professionals, with the help of Edible Image Printing decorating your next birthday, engagement, wedding, Christmas or even corporate function cakes or cupcakes can be as simple as bake, peel and stick! 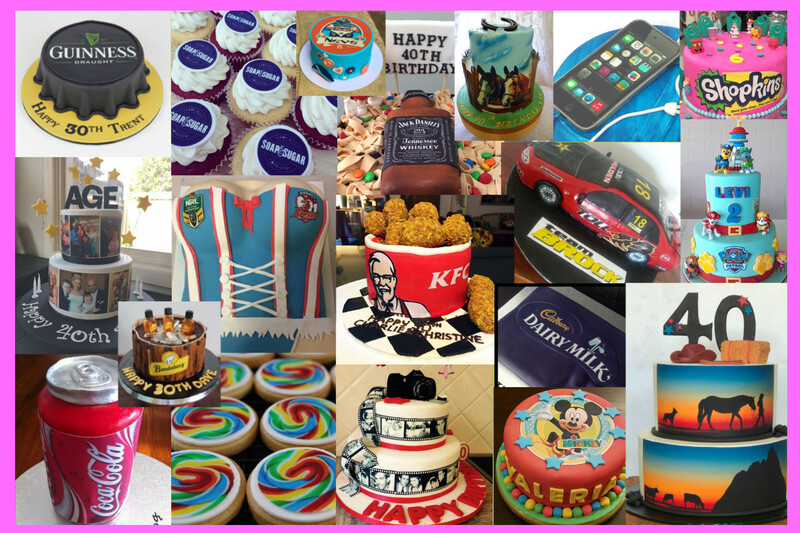 Edible Image Printing is Australia’s most popular choice when it comes to getting your edible cake or cupcake toppers printed, our quality prints and friendly, helpful service is hard to beat! Using high quality printing equipment along with the finest, gluten and dairy free frosting sheets, combined with the best in the business Italian edible ink. It’s no wonder our clients, personal and corporate keep coming back. Our FREE design assistance, next day dispatch along with FREE regular shipping Australia wide is just another way we like to help in keeping our clients lives simple and stress free..
Australia Post has informed us that there will be a slow down in regular mail delivery times.. Please allow for an extra 3- 4 days than what you would normally expect. However if you feel regular mail might not get to you in time, i would highly recommend rather going with express shipping to avoid disappointment.